There is no denying the fact that thick and shiny hair is the crowning glory and a direct expression of an individual’s personality and style. Both men and women pay a good attention to their hair and look for best hair care products or time-tested home remedies that can promote hair growth and give healthy hair. Hair loss, especially when it is excessive, can be a troublesome problem – causing worry and affecting self-esteem, While this is not limited to women, it cannot be denied that females are more emotionally affected by hair loss. This is the reason that diagnosing the cause(s) of hair fall and taking corrective measures along with the use of suitable haircare products is important. A trichologist with Clinic Dermatech, India’s leading Skin, Hair and Aesthetic Beauty Centre that has a chain of clinics, talked about the common reasons for hair fall. Hair fall can be caused by overuse of hair styling products and hair care products, which, unknown to you, could be contributing to the thinning hair on your head. Of course, aging plays a major role in hair loss, which is why a lot of women look at dry hair when menopause comes in. And if the past 2 generations turned grey early, you can be sure that unless the genes skipped your generation, so would you. Besides stress and nutritional deficiencies, medical conditions like hormonal imbalances, thyroid problems, PCOS and even birth control pills can play havoc with your hair. 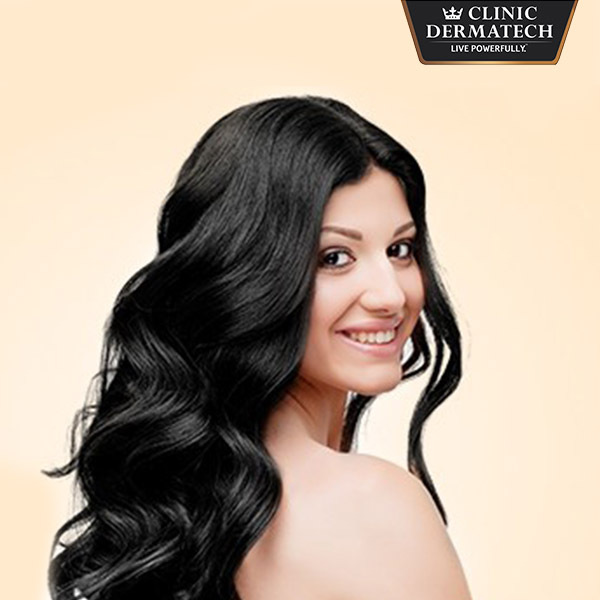 Getting the best treatment along with proper care is important when you want to “Say No to Hair Fall”. There are various home-made remedies as well as medical treatments that will help you enhance the hair growth. Advanced Hair Restoration – Say No to Hair Fall! 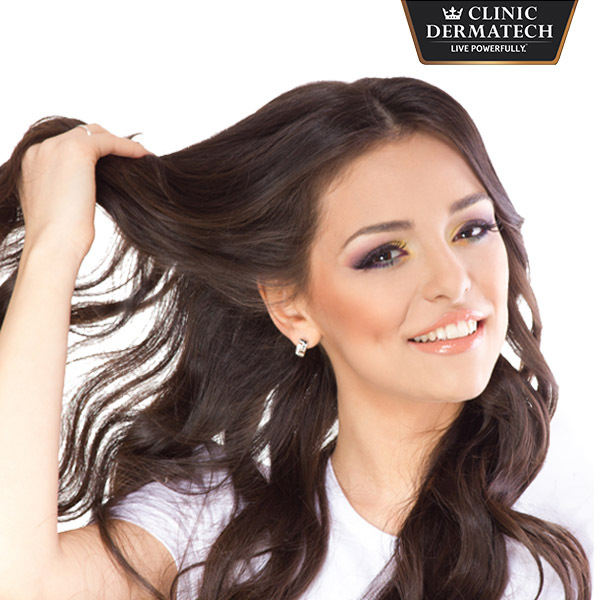 Some renowned clinics like Clinic Dermatech, are focused on spreading awareness on hair fall and the recent scientific advancements that help counter it in a successful way. 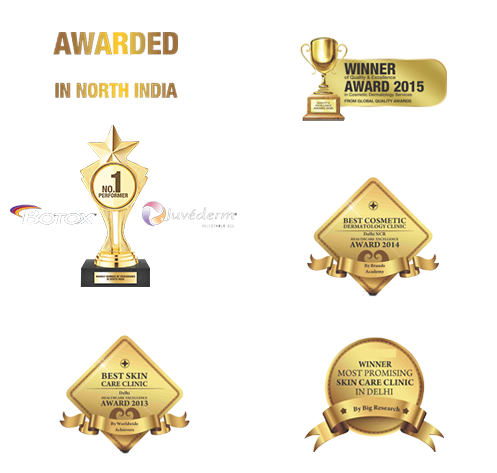 Clinic Dermatech offers advanced cutting-edge services to provide effective and long-lasting solutions to clients. Whether you are at the beginning stage of hair loss or are coming to terms with your shining pate look, you will get the best treatments to effectively address your concerns and restore your hair to its most natural and full appearance. Clinic Dermatech Offers Platelet Rich Plasma Therapy, which is a highly effective treatment and which is clinically proven to provide results. Being a safe and natural procedure, it starts with the use of plasma from your own blood, which helps in hair growth. The platelet-rich plasma is injected into the scalp and topically. This boosts hair growth. Apart from the aforementioned treatment, Clinic Dermatech also offers you some other methods to control hair falls. Meso Treatment is one of them that involves the use of Anti Hair Loss Serum which is delivered into the scalp through a Meso Gun or Derma Roller. 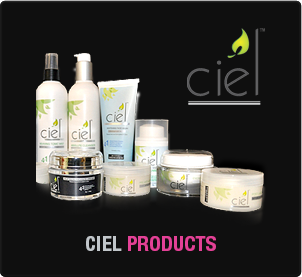 Stem Cell Therapy is also one of the successful methods of controlling hair loss. Experts use stem cell serum that is formulated by using Adipose-derived Stem Cell extract and growth factors. In order to get the right solutions, you have to contact experts. 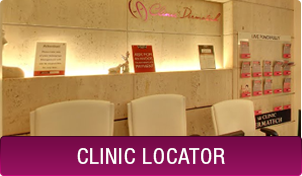 Clinic Dermatech offers consultations with leading trichologists who are peer-recognized experts in the field. Scheduling your appointment is easy and hassle-free that you can do by giving a call.